The North Shore Community School PTA is comprised of parents and teachers finding ways to support and supplement the extraordinary education the students of North Shore Community School already receive. 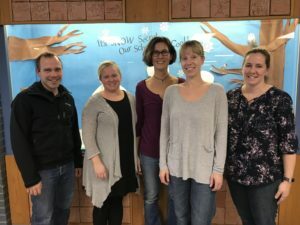 Recent contributions include benches for an outdoor classroom in the school orchard, funding towards the upcoming school zip lines, and funding for a sweeper for the school’s ice rinks and sidewalks. Mission statement: To advance the North Shore Community Schools mission by engaging, supporting, and encouraging all teachers, parents, and community members to be and stay involved in the greater school community. If you have ideas for the school or would like to help out, please join us. All are welcome! Meetings will be held monthly in the school library and will alternate times to accommodate parent work schedules as well as teacher work schedules. Free child care will be provided!